Father’s Day can be a special day for many families. My children eagerly made their Dad a card and went to bed excited at waking him their Dad up tomorrow morning. However, a bushy eyed child is not what all Dads will be facing on Father’s Day. A lot of Fathers will be painfully reminded of their child they have lost or no longer have access too. Additionally other children, young and old, have the reminder that their dead dad is not there. Death itself can be seen as a freedom but being left behind with your grief and loss is difficult. It’s a long painful journey and some days are harder than others. Father’s Day can be a difficult day as it just reminds you of your loss. While some people are grabbing their cards and gifts you are left wondering how you will cope with your grief. Ignoring Father’s Day often feels like the easiest thing to do yet sometimes it is not as difficult as you think. So what can you do? Some people are comforted by being with their family and having a special meal. Some prefer to be on their own but rather than spending it in bed, try to make a plan for the day. The anticipation can be worse than the day itself. Focusing on your Dad’s life and what he means to you might bring up good memories. You could visit his favourite spot or listen to music that he loved. A useful tool I use with my clients who are grieving over the death of their Father is a ‘Dad box’. You put small reminders of your Dad in a memory box. Some clients don’t look into it for years whereas others get it on difficult days like Father’s Day. Some have described the box as a handy receptacle for all sorts of feelings. When they are feeling low they open it up and allow their feelings to be released. Hazel provides counselling in Sheffield and South Yorkshire or via email, skype or instant messaging. 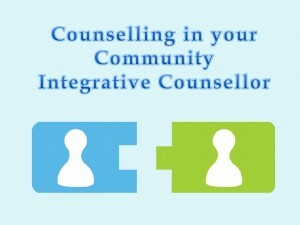 Contact me her at counselling@inyourcommunity.org.uk for more information. This entry was posted in counselling, grief and tagged bereavement, counselling tool, Father's Day, grieving on June 15, 2013 by Hazel Hill.